We recently lost some inspiring men. Oliver Sacks and Wayne Dyer. 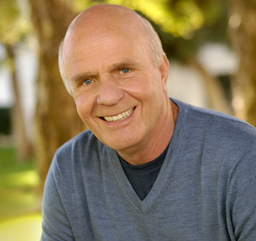 Wayne Dyer was not only the self-help-best-seller guy. I read some of his books a few decades ago. I remember they were easy to read. But there is another side to this man. He worked as a Jungian therapist. The statement of Carl Gustav Jung: “I didn’t have this idea, it had me” was a guiding principle in the way Wayne Dyer shaped his life. Ideas and synchronicity guided him on his path. “The surest way to lose your soul is to believe in a god outside yourself” he told his audience. He took the path we all have to go, if we are religious, spiritual or not. It is the same spiritual struggle Carl Jung shared with us in his Red Book. the search for your inner God. (Read your inner spirituality if that resonates more with you). He tells about it on his website. One night, being a teacher, he had given a presentation for parents about how they could guide their children to become happy adults. The next day, a student walked into his room, bearing a gift. A gift that would change his live. It was a book composed of stories from inspiring people. 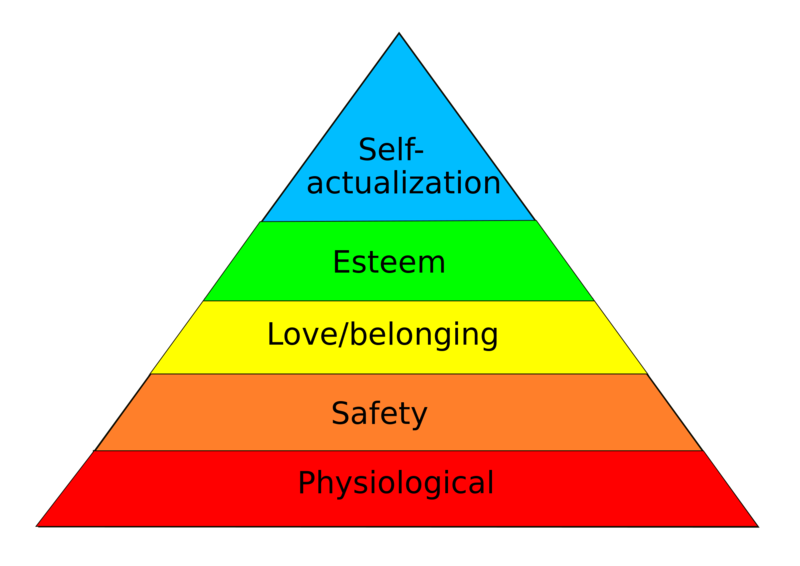 Wayne Dyer, on the verge of choosing a subject for a new study, read The Whole man, written by the famous psychologist Maslow (yes the one with the hierarchy of needs). And he decided to start focussing on the things that are right: “I don’t want to study what’s wrong with people. I want to study what’s right.” And that was the beginning of his success. Wayne Dyer was the man of dreams. Not necessarily night-time dreams but goals. However, he taught his audience about the art of dream incubation. He was fully aware of the creative potential of dreams. Wayne Dyer saw dreaming as the time when the brain ‘marinades’ in the subconscious. And when you fall asleep thinking about all the things that went wrong during your day, all the people you are angry with, you are going to instruct your brain to give you dreams about that misery. Think about good things. The things that you are happy about. things that you want to multiply in your life. It is a simple, yet effective way of incubating dreams. Thanks Dr. Wayne Dyer for giving so many people a helping hand when they needed it. Sometimes I wake up humming a song. Sometimes I sing in me dreams. I wrote a mindfunda about it earlier (click to read it). But because one of my friends is a dreamer and a musician, I asked for his expert advice on the subject of music and dreams. Todays Mindfunda is written by Travis Wernet, Dream Teacher, Author, Breath Worker and Unitarian Universalist Minister. Travis has worked for 20 years offering online and local groups as well as workshops, ceremonies and private sessions based in “inner work”. He has a private practice and worked for 10 years in the Community Mental Health Field in California. He has traveled co-leading musical dream ceremonies from Northern India to the Great Pyramids in Egypt and did a coastal tour of Australia. Sound, breath, dreams and music support learning from deep wisdom sources about what we don’t already know. Workshops featuring these practices have been presented by Travis at International Association for the Study of Dreams Conferences. He is a musician with three albums to his credit, and articles published in Dreamtime Magazine, Dream Network Journal and Depth Insights E-Zine. Dreams and music have much more in common than we may realize. For one, any time we listen to a song or piece of music, we’re invited to enter the alternate space of reality that is evoked by the collage of sounds that are gathered there. You could say that when we listen to a specific piece of music, we’re seeking to create a certain kind of dream. Both dreams and music arrive in a sort of invisible fashion. That is to say, even though we may become lucid in our dreams, and we experience them in a perceivable visionary state, there is something elusive and hard to pin down about our nighttime journeys. Music itself is experienced as a kind of spirit, due to its invisible nature. Sound is heard – audible – and even though we know it exists, we don’t exactly see it. There’s a subtle connection here that shows similar qualities of each experience. It’s been my experience in my work that certain kinds of sounds support, invite and honor our dreaming capacities. Ancient cultures have known this for ages, and this is why in most – if not all – traditional communal settings, music is a part of any ceremony or rite. Such activities help to “bring the dream alive” in a manner of speaking. Folks who work with dreams often think of the experiences and content in the form of visual images. When we work with our dreams we also may become aware of certain mythic patterns that prevail within them, often referred to as “archetypes”. Just as images can symbolically portray deep and transpersonal, timeless forces of energy, so too might we receive and be influenced by these powers through sound. In other words, sound and the colors it creates may also be understood as an archetypal reality. Listening to or making certain tones puts us in contact with the mythical forces of the cosmos. It’s been shown that the major archaic cultures in Greece, Egypt, and even ancient Ireland all had some form of dream incubation practice based on meditative ritual that involved sacred music. We know today that certain sounds produce very exact effects, in the body and I suspect, also in the psyche. In the following piece of music, a song I co-wrote with internationally renowned producer Ben Leinbach under my musical moniker ‘Outlaw Dervish’, we intentionally sought to create a piece of music that could open the awareness to the depths and multiple realities of the psyche. I invite you to listen just before going to bed at night, when you are perhaps already a little sleepy, and to play with this musical offering as a potent tool for your own dreaming incubations. You might consider using this when you are hoping to receive a particular dream in response to a specific question or request for support.